Dr Stephen Kaye is an Obstetrician Gynaecologist at Lions Gate Hospital in North Vancouver B.C. where he has been on active staff since 1993. He has a special interest in Urogynecology and MIS Surgery and has been involved with teaching of Medical Students, Residents and Colleagues. Dr Kaye received his MBBCh degree in 1983 from the University of the Witwatersrand in South Africa. He emigrated to Canada in 1985 and practiced as a family physician in Saskatchewan until 1989. Dr Kaye did his residency in Ob/Gyn at UBC obtaining his FRCS C in 1993. Dr Kaye has served on the National Council of the Society of Obstetricians and Gynecologists of Canada as the Western Section Alternate Chair (2007 – 2010) and the Western Section Chair (2010 – 2013). 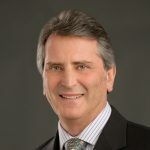 He is actively involved with the Society of Obstetricians and Gynecologists of B.C.and has been an executive member since 1995 and is currently the Co President of the Society.